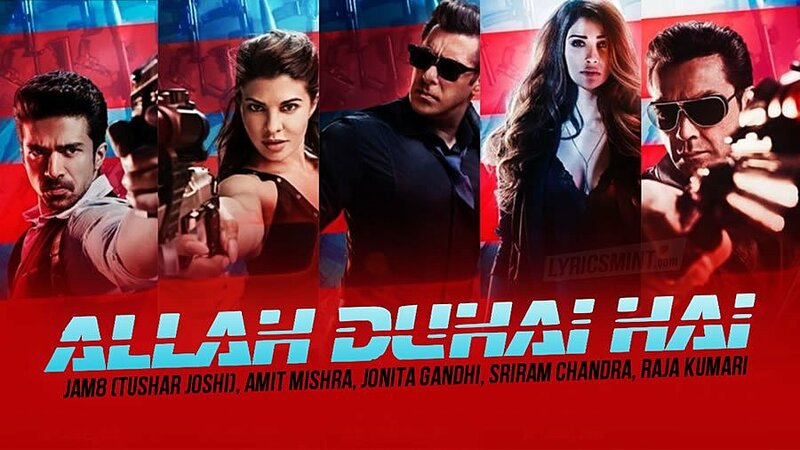 Allah Duhai Hai Lyrics from Race 3: Here comes the biggest track of the film starring Salman Khan, Jacqueline Fernandez, Bobby Deol and Others. The song has music directed by the very talented Tushar Joshi at Pritam’s JAM8 studios. It has been sung by Amit Mishra, Jonita Gandhi & Sriram Chandra and features a killer rap written and performed by Raja Kumari.